7) No down time, you can resume back to work and social activities right after the treatment! 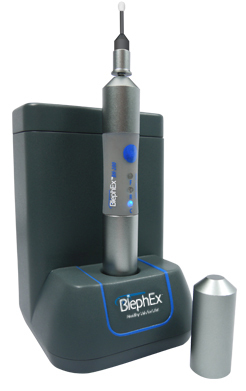 Lid hygiene after BlephEx treatment is still necessary to maintain daily lid cleanliness. It is essential to remove the accumulation of bacteria and debris from the lid margins for a successful blepharitis treatment. Therefore, wiping of your eyelids with lid wipes and warm compress should be done daily to reduce the growth of bacteria and demodex (mites that live in our eyelash follicles) from growing on your lids. The video below shows a demonstration on the steps to do a warm compress, as well as the correct technique to clean your eyelids.